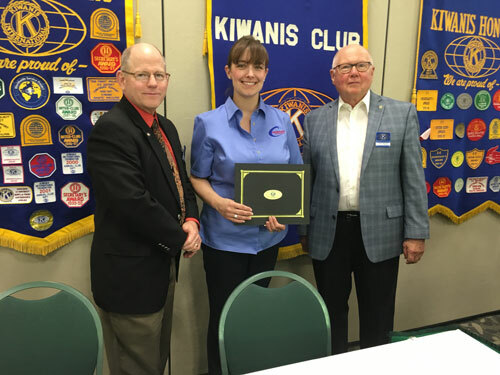 New Kiwanis Club of Rock Island Members: Michael Glanz of ARC of the Quad Cities, Don Weston retired, and Justice Tom Kilbride retired, are the newest Club Members. 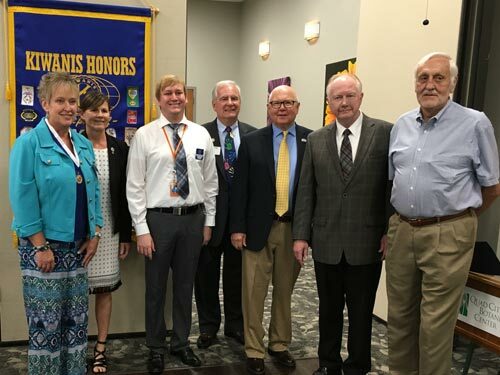 They are show with Club Immediate Past President Chris Elsberg, current President Tom Hanson and Kiwanis II District Governor Rick Poulton. Not shown is Mary McNeil of Spring Forward Learning Center, who was also inducted on August 28. New Kiwanis Club of Rock Island Members Jeri Bolis and Anita Adams with American Bank & Trust are shown with Club President Tom Hanson. 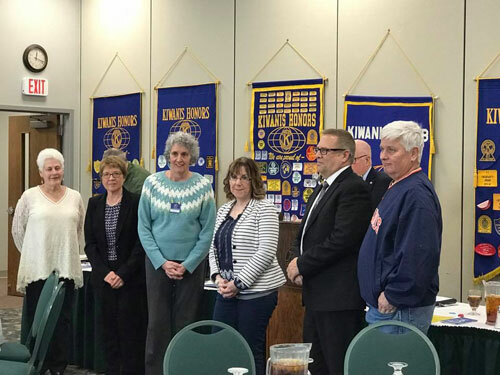 New Members: Wanda Hanson-retired, Deb Halstead-Thurgood Marshall School and Randy Tweet-City of Rock Island, along with their sponsors Ruth Sanders, Sheila Guse and Steve Tollenear.